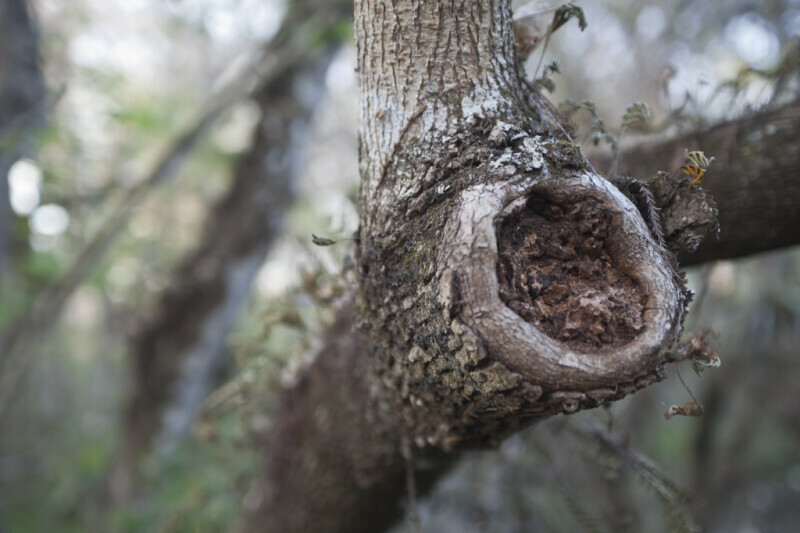 Photo of the area of a tree in which the branch was cut. A few resurrection ferns (Pleopeltis polypodioides) can be seen growing around the cut. This photo was taken at Kirby Storter Park of Big Cypress National Preserve.